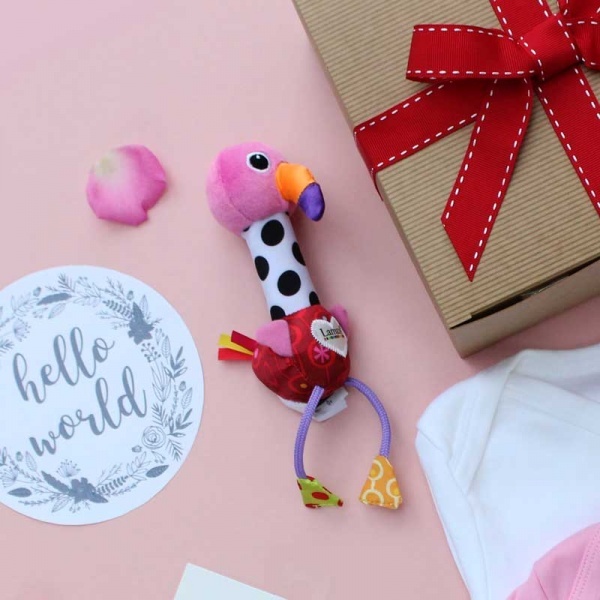 Our medium Baby Girl's Hamper contains a perfect selection of pretty gift's for your new little girl! 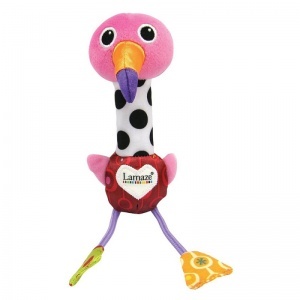 Lamaze Flamingo toy - this soft, cute, flamingo toy is the perfect size for little hands to hold. It features bright colours and contrasting prints to help with baby's visual development and makes a chirping sound when shaken. White Bunny print sleepsuit - an essential everyday all-in-one for night or day use. Made from 100% cotton and features a unique hand printed bunny in glasses design to make it extra special. Pink Bodysuit - a super soft cotton bodysuit that can be worn by itself in summer or as underwear during the winter. Features a pretty handprinted 'hello world' logo to the front. 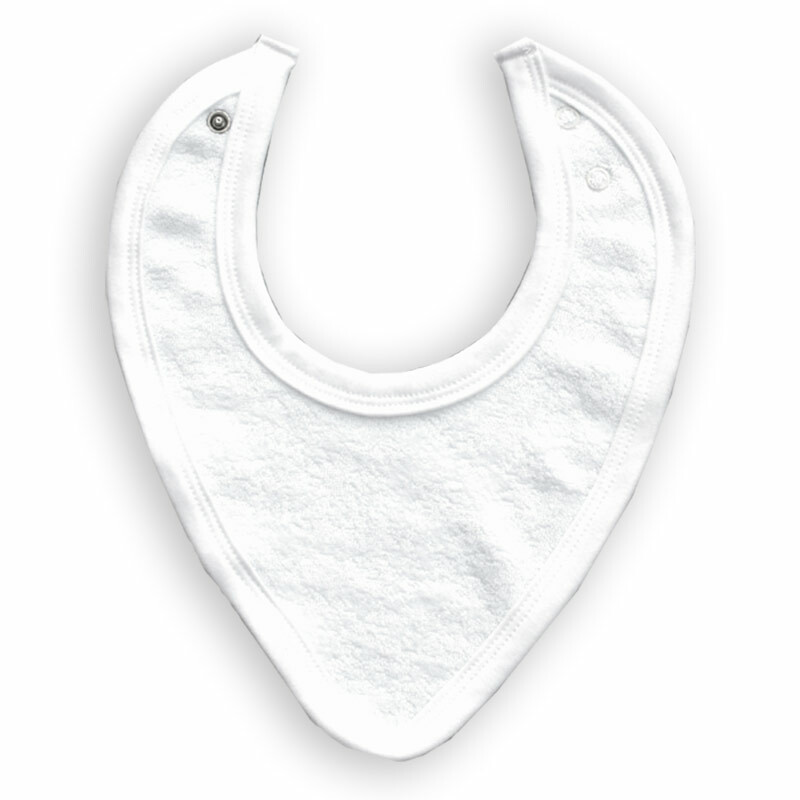 Cotton Bib - a pure white cotton bib, to keep baby dry and clean. You can never have too many bibs! 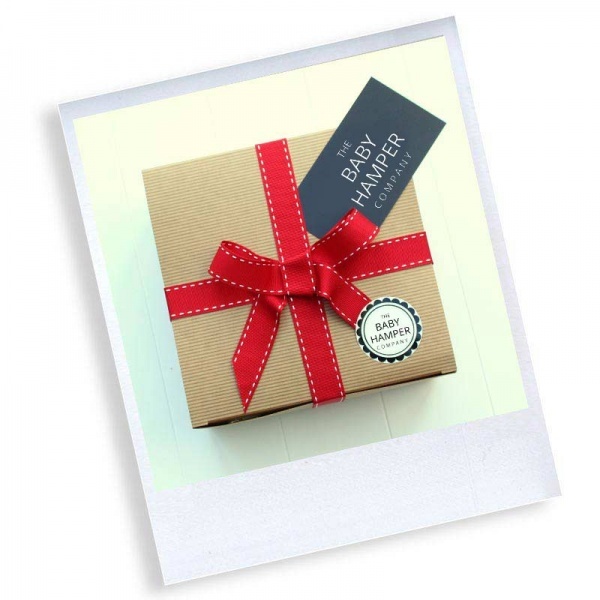 Feel free to add any additional items to your box, and all our hampers are packed to order with love and care. 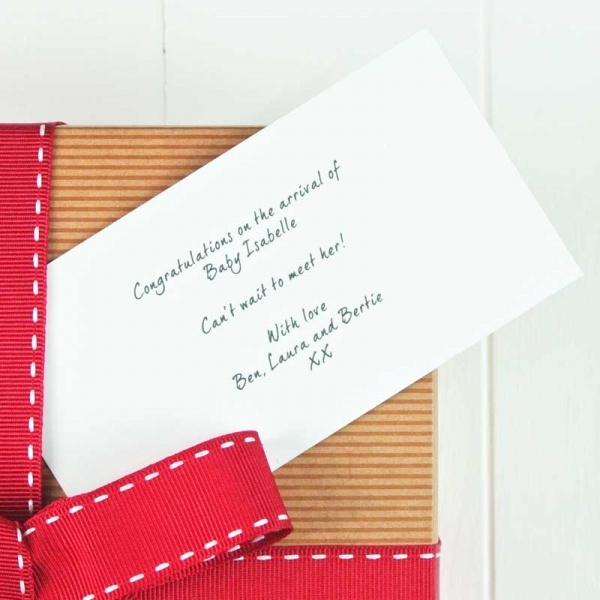 FREE luxury gift wrapping and personalised gift card included!